I know well, and with great gratitude, how welcoming this community can be to those of us newly arriving. Please join me in extending our warmest Wake Forest-style congratulations and welcome to to our terrific group of new faculty colleagues. I had the delightful opportunity to meet many of them during our new-faculty orientation earlier this month, and was triply impressed: with their devotion to students and teaching (I’ve never had so many conversations about pedagogy at one informal reception! ); their sophisticated scholarship and creative work, heralding great promise of collective impact and visibility; and their already-evident commitment to this campus and our shared values. We will be a richer place, in all the ways that matter, thanks to this stellar group’s place among us. Many of our new colleagues cited Wake Forest’s hospitable, even familial spirit as significant in their decision to join us; I look forward to joining you all in introducing them to this extended faculty family. 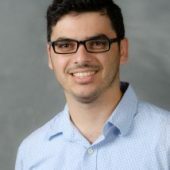 I invite you to read more about our new colleagues below..
Hussein comes to Wake Forest from Temple University, where he recently completed his PhD in Mathematics and dissertation titled Singular Integral Operations Associated with Elliptic Boundary Valve problems in Non-smooth domains. At Temple, Hussein earned his M.A. in Mathematics and obtained a Teaching in Higher Education Certificate. He attained his Master’s in Pure Mathematics from American University Beirut where he spent two years researching the ultra-products of Lie Algebra. Hussein has spent much of his career deconstructing the complexities of Partial Differential Equations, the Geometric Measure Theory, and Validated Numerics. From his findings, Hussein has several academic publications including, “On the Solvability of the Zaremba Problem in Infinite Sectors and the Invertibility of Associated Singular Integral Operators” and “The Spectrum of Biharmonic Layer Potentials on Curvilinear Polygons”. He has presented his research findings at universities and conferences across the country. Tonya brings with her to Wake Forest a passion for statistics, predictive modeling and years of teaching experience. Tonya earned her PhD in Statistics with a minor in Mathematics from NC-State and comes from her Alma mater after teaching graduate and undergraduate business students. She has over ten years of experience translating numerical data into tangible information used for software development and marketing products. She enjoys applying analytic thinking to help solve problems in other disciplines like the sciences, business, and finance. Tonya is excited to incorporate her educational background in statistics with her years of professional experience in the corporate sector in courses at Wake. She is a member of the American Statistical Association; and the Institute for Operations Research and the Management Sciences (INFORMS). 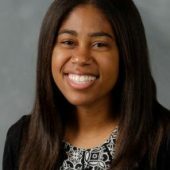 Elise comes to Wake Forest from James Madison University where she was a founder and steering committee member of the Applied Research Collaborative, inaugural director of the NAE Grand Challenges Scholars program, and junior capstone coordinator for engineering. Her teaching, scholarship, service, and student mentoring are focused on transportation systems, sustainability, and engineering design. As an engineering education researcher, Elise is currently engaged in projects sponsored by National Science Foundation to investigate engineering students’ application of sustainability concepts across courses and project contexts. On the transportation/development side, she has enjoyed mentoring a variety of applied research projects related to sustainability rating systems, greenway system planning, energy infrastructure and more. Community planning is a passion outside of work too, and Elise has been proud to serve on local planning committees and be an active member of national organizations like the Transportation Research Board, Women’s Transportation Seminar, and the Chi Epsilon Civil Engineering Honor Society. Prior to joining the JMU faculty in Virginia, Dr. Barrella completed her Ph.D. in Civil Engineering at Georgia Tech. Jack brings a renowned interest in Medieval and Renaissance literature to Wake Forest. He completed his PhD in English Literature from Duke University and dissertation titled Chaucer and the Disconsolations of Philosophy: Boethius, Agency, and Literary Form in Late Medieval Literature. He has received a number of distinctions including, the John L. Lievsay Fellowship, the “Conversions” Interdisciplinary Research Grant, and the Graduate Fellowship. Jack has experience teaching undergraduate upper level and introductory English courses. He is a member of the Modern Language Association, the Medieval Academy of America, the International Piers Plowman Society, the New Chaucer Society, and the Society for Medieval and Renaissance Philosophy. Jack looks forward to discussing the enigmas of Shakespeare’s philosophy with Wake Forest students and faculty. 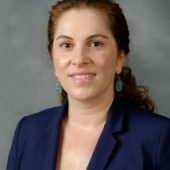 Lina comes from the University of Florida where she completed her PhD in International Relations and dissertation titled Relational Power in IR: Case of Chinese Investments in Human Resource Development in Africa. She has teaching and research interest in international relations theory, Global IT, international development, China-Africa relations, international organizations, and post-colonial theory. Lina has published a number of articles and peer reviewed papers including, “Explaining Attractiveness in South-South Relations: Power-Knowledge Nexus in Beijing’s Capacity Building Programs” in the Journal of International Relations and Development, “Is China Building an Empire in Rural Africa” in the International Studies Review, and the “China Syndrome,” which received the University of Florida Sahel Research Group Research Grant. Lina is the founding member of the UF China-Africa working group and the UF Women in Political Science group. 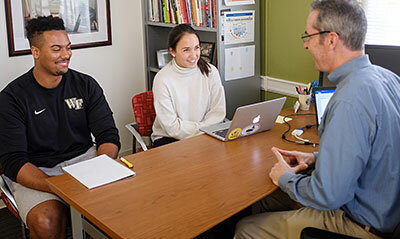 Michael brings more than twenty years of teaching experience in domestic and international business schools to Wake Forest. He earned his PhD in Human Resource Development from the Union Institute with a concentration in Leadership & Professional Development and his M.A. in Applied Psychology from Norwich University with a concentration in International Management. He has over twenty-five years of financial and management consulting experience which has taken him around the world. Michael has contributed a number of titles including, “Strategic Organizational Change: A Practitioner’s Guide for Managers and Consultants,” “Strategic Organizational Learning: A Practitioner’s Guide for Managers and Consultants,” and “Purchase Order Management Best Practices: Process, Technology, and Change Management” to the organizational behavior field. He is a certified public accountant and holds memberships in the Southern Management Association, the Association of Change Management Professionals, and the Society for Human Resource Management. Laura returns to her alma mater after a decade of leadership experience in the education and banking industries. Previously, she served on an innovative team teaching a fifth grade math and science students at Old Town Elementary School. Laura found a passion for community service early on in her professional career and served in a variety of leadership positions within community out-reach programs. Laura implemented an afterschool Girls STEM club to support adolescent girl’s interests in STEM. She has led workshops for colleagues on goal settings and implementation of SMART goals to promote professional growth within the school. Laura is excited to begin her work in higher education within the Education department. Seth returns to his alma mater after obtaining his PhD in Religions of Western Antiquity and dissertation titled Wisdom in Distress: A Literary and Socio-Historical Approach to the Aramaic Book of Ahiqar from Florida State University. He completed a Humanities Initiative Fellowship at the Institute for Advanced Study at Central University in Budapest. Seth has a number of publications including “Wisdom in Distress: The Book of Ahiqar and the Sapiential Tradition” and “Strange’ Interpretations in the Septuagint Proverbs” where he explored multiple facets of religious interpretation. While completing his MA in Divinity from Wake Forest he was awarded the Greek Award for outstanding achievement in NT/Greek studies. He is a member of the Society of Biblical Literature, the European Association of Biblical Studies and the International Organization of Septuagint & Cognate Studies. Ann comes to Wake Forest from the Carolina Common Enterprise where she consulted community-based enterprises within low-income communities in the creation, expansion, and improvement of their organizations. She completed her Juris Doctor from the University of San Diego St. Thomas More School of Law. She has practiced in the public and private sectors of law, serving at the circuit court commissioner in Columbia County and as a lawyer in a private law firm in Wisconsin. She is invested in the continued development and growth of communities riddled with food deserts. She is on the executive committee for the Forsyth Community Food Consortium and Ann was the chair of the Triad Buying Co-op subcommittee, the chair of the Cobblestone Farmers Market steering committee. Ann hopes to further collaboration with Wake Forest with community initiatives throughout Forsyth County. Elizabeth brings her expertise in advanced materials characterization to the Engineering department. She completed her PhD and MS in Materials Science and Engineering at the University of California, Berkeley. She comes to Wake from the University of Wisconsin-Stout where she served as an Assistant Professor of Engineering, and prior to that served two years as a AAAS Science and Technology Policy Fellow, with one year at the National Science Foundation and the other at the National Institute of Justice, U.S. Department of Justice. Elizabeth is actively involved in the study of structure-property relationships in biological structural materials, including fossil vertebrate tissues, and engineered ceramics. She has conducted research at institutions across the country including the Woods Hole Oceanographic Institution, Stanford University, and Beloit College. Eleanor has taught Italian as a second language throughout Italy and the United States. She comes to Wake Forest from the University of Illinois at Urbana-Champaign where she completed her MA in Italian with a concentration in cultural studies and second language acquisition. She earned her Vocational Master’s teaching Italian as a second language and a MA in Art History at the University of Milan. She has a developed interest in the Italian language and culture, project-based activities design, and test development. Eleanor has invested in understanding the approach to teaching Italian as a second language, at the University of Illinois she was the co-organizer of the Italian Movie nights and culinary events to promote language acquisition outside of the classrooms. She was awarded the French and Italian departmental summer fellowship and a teaching honor from the Center for Innovation in Teaching & Learning from the University of Illinois Urbana-Champagne. 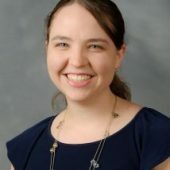 Abbey comes from the University of Georgia where she was investigated the classification of torsion subgroups which arise on an elliptic curve as a postdoctoral associate and instructor. She completed her PhD in Mathematics from Wesleyan University and dissertation titled A Uniform Version of a Finiteness Conjecture for CM Elliptic Curves. Abbey is the project co-leader for Women in Numbers (WIN) 4 at the Banff International Research Station, a workshop that supports the collaboration between women in mathematics. Abbey has presented her torsion research at conferences and universities throughout the South. Beyond conventional classrooms, Abbey has taught inside Connecticut prisons through a public-private partnership to offer an accredited liberal art education to incarcerated individuals. She is a member of Phi Beta Kappa, Pi Mu Epsilon, Phi Kappa Mu, Eta Sigma Phi, Phi Eta Sigma, and Golden Key. LeAndra comes to Wake Forest from Virginia Commonwealth University Community Memorial Hospital as the Cancer Rehabilitation Coordinator. She earned her Masters of Science in Clinical Exercise Physiology at the University of North Carolina. LeAndra has presented on a number of topics involving body mechanics, exercise as medicine, and diabetes at institutions along the southeast coast. She has a special interest in cancer and cardiac rehabilitation; in this field LeAndra has created and facilitated group seminar sessions which promoted active learning for patients and their families. She is a member of the Clinical Exercise Physiologist Association and the American College of Sports Medicine. LeAndra has earned a number of certifications including ACSM Cancer Exercise Trainer, Basic Life Support, Advanced Cardiovascular Life Support, ACSM Registered Clinical Exercise Physiologist, and DEXA Training. John holds a MBA from the University of Texas at Austin with a concentration in Finance/Marketing where he was granted the Dean’s Award for Academic Excellence. 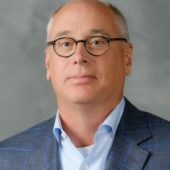 He joins Wake Forest after twenty years in corporate finance where he’s held positions as President, Chief Executive Officer, Chief Financial Officer, and Executive Vice President of a venture capital backed wireless internet provider which operated in 14 markets across the mid-west. He comes from Aether Partner’s Consulting where he served as President handing financial statement preparation, liquidity analysis, tax planning, and financial modeling. John is a public account who facilitated over $1 billion in revenue growth in his portfolio in the past fifteen years. Robert earned his PhD in Counselor Education and Supervision and MA in Marriage and Family Counseling from the University of Holy Cross. Previously, John worked as a counselor at the Archdiocese of New Orleans North Shore Pastoral Center and as an Adjunct Instructor at the University of Holy Cross. 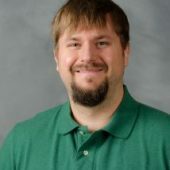 His teaching and research interest include parent-child relationships, attachment theory, ethics of school counseling, and the teaching systems theory. He is a National Certified Counselor; a licensed professional counselor and a licensed marriage and family therapist in the State of Louisiana. He is a member of the Association of Graduate Students in Counseling, Chi Sigma Iota Counseling Honor Society, American Counseling Association, Louisiana Association for Counselor Education and Supervision; and the Louisiana Counseling Association. John’s current research project explores the perceived benefits and shortcomings of a court-mandated co-parenting program. 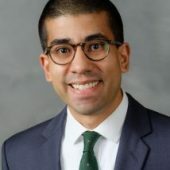 Bilal comes to Wake Forest from the University of Tennessee-Knoxville where he completed his Ph.D. in Economics and his dissertation titled Essays in Applied Microeconomics. He earned his Masters of Science in Economics from the University of Illinois Urbana-Champaign. Bilal’s research incorporates his interests in international relationships and macro-economies. He has published papers that investigates the relationships between public economics, political economy, and the economics of natural disasters. Most recently, Bilal investigated the impacts of large natural disasters have on economic activity. He is a member of the American Economic Association, Midwest Economic Association, and the UT Turkish Student Association. 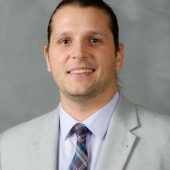 While at the University of Tennessee he received the Graduate Assistantship, taught economic courses at the graduate and undergraduate levels. He is currently working on two projects focused on the effects of time zones at the macro- and micro- levels. Bruce comes from the University of Tennessee-Knoxville where he completed his Ph.D. in Spanish with a concentration in Modern Foreign Languages & Literatures and dissertation titled Society, Culture & Literature in the Works of Ventura Ruiz Aguilera. He earned his M.A.T. in Spanish from the Middle Tennessee State University. At UTK, Bruce created the Spanish Language Café which is an effort that encourages students to comfortably practice Spanish outside of the classroom environment. 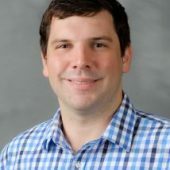 He was a Board member of the Student Conduct & Community Standards and a reviewer of Vernacular journal was awarded the MFLL Graduate Teaching Award, the Chad Goldman and the Brian Pendleton LRC Award. He is a member of the Modern Language Association of America and the American Council on the Teaching of Foreign Languages. He looks forward to innovating how foreign languages are taught. 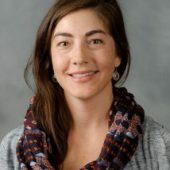 Nicole come to Wake Forest from Duke University where she completed her PhD, MA in Statistical Science and dissertation titled Bayesian Approaches in File Linking. 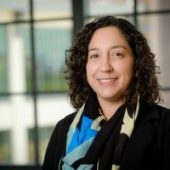 Nicole has presented and published papers regarding regression modeling, mathematics education reform, and the Bayesian Approach; her most recent publication is titled “Regression Modeling and File Matching Using Possibly Erroneous Matching Variables,” submitted to the Journal of Computational and Graphical Statistics. 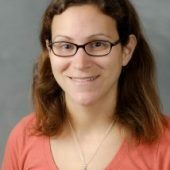 Nicole was awarded the Dean’s Award for Excellence in Teaching, the Teaching Assistant of the Year in the Statistical Science department at Duke and the Preparing Future Faculty Fellowship. She served as the Co-organizer of DataFest at Duke, a data analysis competition for over 300 undergraduates across three host institutions. Dan comes to Wake Forest from the University of Georgia where she completed her PhD in History and dissertation titled This World in a Teacup: Chinese-American Tea Trade in the Nineteenth Century. She obtained her MA in History from Nankai University, her thesis research focused on the Illinois Free Banking system from 1851-1865. In the past five years Dan has completed fellowships at the Winterthue Museum, Garden & Library; the Gilder Lehrman Institute of American History, the Smithsonian National Museum of American History, and the Library Company of Philadelphia. She has taught courses in American History, Pre-Modern Japan, World Civilizations, and the History of China. Among her many publications are “A Shadow of Chinatown: Chinese Highbinder Societies in San Francisco” in the Social Sciences Academic Press and “China, East Asia and the Global Economy: Regional and Historical Perspectives” in the Journal of International and Global Studies”. Luigi comes to Wake Forest from the University of Nebraska-Lincoln where he completed his PhD in Mathematics and dissertation titled On the Structure of the Stable Cohomology of local rings. He earned his MA in Mathematics from the University of Pisa. Luigi research interest includes commutative algebra and homological algebra. He has multiplication publications, including “Regularity of Tor for weakly stable ideas,” in Le Matematiche. He has presented at over 25 conferences and talks regarding his research, which primarily focuses on the structure of stable cohomology of local ring and on the Castelnuovo-Mumford regularity of graded modules. 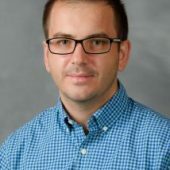 Luigi has experience teaching introductory and upper level mathematic courses and looks forward to teaching within the Mathematics and Statistics department at Wake. Michelle brings over 20 years of clinical experience to Wake Forest. She comes from Gonzaga University, where she was the Director of the Masters of Counselling Program. She obtained her PhD in Counselor Education and Supervision & Certification in Contemporary Pedagogy from Virginia Tech. She earned her MEd in Community Counseling from Lynchburg College. She is a licensed Mental Health Counselor in the State of Washington, a licensed Clinical Supervisor and a licensed Professional Counseling in Virginia. 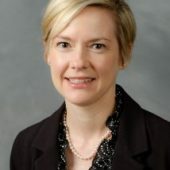 She is a member of the American Counselor Association, Association for Counselor Education and Supervision, and has written a number of publications including “Counselor education faculty positions: Requirements and preferences in CESNET announcements” in the Journal of Counselor Preparation and Supervision. After five years away, Michelle is thrilled to be joining the Wake Forest and returning to the east coast to be closer to her family and friends! Annelise comes to Wake Forest from the University of North Carolina where she completed her PhD in Chemistry and dissertation titled Used Nuclear magnetic resonance (NMR) to investigate the effects of macromolecular crowding on the folding kinetics of Drosophila drkN SH3 protein. Her research interests include biochemistry, biotechnology, and structural biology. 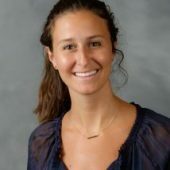 Annelise was awarded with the Protein Society Young Investigator Travel Award, the UNC-BEST (NIH) ImPACT Teaching Fellowship, and the Future Faculty Fellow from the University of North Carolina Center for Faculty Excellence. She has taught courses in biochemistry, general chemistry, and biochemistry labs. She holds memberships with the Division of Chemical Education and the division of Biological Chemistry within the American Chemical Society, the Protein Society, and the American Chemical Society. 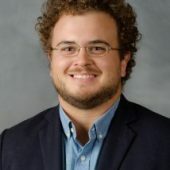 Andrew comes to Wake Forest from the University of North Carolina at Chapel Hill where he completed his PhD in Economics and dissertation titled Regressive Welfare Effects of Housing Bubbles. He is particularly interested in asset bubbles with heterogeneous agents within the Macro-economy theory. Andrew has taught economic course topics surrounding financial markets, macroeconomics, and game theory. He has experience teaching the Economics of Financial Markets, Intermediate Macro-economics and Game Theory. Andrew’s dedication to understanding socio-economic disparities is prevalent in his professional and personal life. His most recent paper “Regressive Welfare Effects of Housing Bubbles” published in Macroeconomic Dynamics analyzes the welfare effects of asset bubbles, income equality, and financial friction. Andrew has often presented his research at workshops and departmental conferences allowing for collaboration from multiple disciplines. He looks forward to continuing this inter-disciplinary approach at Wake. Bryon comes to Wake Forest from Palm Beach Atlantic University where he has trained young singers in pursuit of careers in music performance and education. He earned a Master of Music in Choral Conducting from New England Conservatory of Music; his dissertation is titled Clara Kathleen Roger: A survey of Her Life and Songs. As a dynamic performer of opera, oratorio, concert and ensemble repertoire, Bryon has earned a number of academic honors and awards including the Michel L. Hooten memorial prize at the Tanglewood Music center and an Assistantship from Indiana University. He is a member of a number of organizations committed to supporting professional artists across the country such as the American Guild of Musical Artists, the College Music Society, and the National Association of Teachers of Singing. Cesar comes to Wake Forest from the University of Arkansas at Little Rock where he was a lecturer of Spanish. He completed his PhD in Spanish Linguistics from Purdue University and dissertation encompassing the history of Spanish and Spanish dialectology. His research interests are vast and includes Spanish phonetics and phonology, Spanish dialectology and sociolinguistics, and language variation. 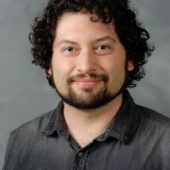 Cesar has received a number of fellowships, grants, and awards for his research of the Spanish language including the Purdue Research Foundation Summer Grant, the PROMISE award and the Purdue Research Foundation Summer grant. Beyond research, Cesar has acted as a translator at FAFSA to assist in the application and filing process for families and worked as a private Spanish tutor for the DELE exam. He is the founder and editor-in-chief of an open-access on-line research journal focused on Spanish linguistics. He is affiliated with the Second Language Acquisition Research Lab. Stephanie comes to Wake Forest from Duke University where she was a postdoctoral associate in the History department. 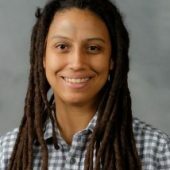 She completed her PhD and MA in History from Stanford University and dissertation titled Slavery, Conversion, and Religious Geography in Portuguese India in the Sixteenth and Seventeenth Centuries. 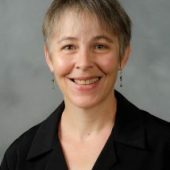 She has considerable honors including the Fulbright-Hays Group Project Abroad (in Tanzania) program, the Weter Fellowship, Distinguished Department Scholar at Stanford History department, and the Social Science Research Council International Dissertation Research Fellowship. She has conducted international research projects in Lisbon at the National Library of Portugal, the Historical Archive Overseas, and the National Archives of Torre do Tombo. She is a member of the African Studies Association, American Historical Association, and the Association for Spanish and Portuguese Historical Studies. She is working on a book manuscript that explores the relationship held by Renegade slaves between religious conversion, the inquisition, and the Portuguese Empire in India, during the 16th and 17th centuries. Bin comes to Wake Forest from the Central Michigan University where he served as a faculty member within the Department of Physics. He completed his PhD in Physics from the University of Delaware and a Master in Engineering from Peking University in China. He has research interest in theoretical high energy physics specifically higgs physics, collider phenomenology, supersymmetry and its phenomenology. He has taught courses in calculus-based and algebra-based physics, physics of sport, and physics’ labs. 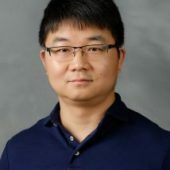 Bin received the University dissertation fellowship award, the University Graduate Fellowship award, and the Daicar-Beta Prize for the highest PhD Student GPA in the physics department from the University of Delaware. Bin has published a number of papers investigating the relationship with seesaw boundaries and interactions. He is excited to continue his research at Wake and looks forward to the start of the semester. 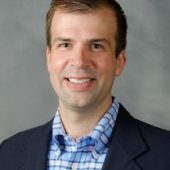 Jason comes to Wake Forest from the University of North Carolina at Greensboro where he taught Social and Personality Development and Group Dynamics within the Psychology department. 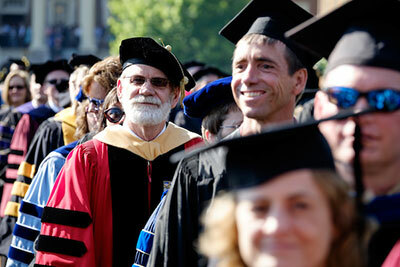 He completed his PhD and MS in Psychology from the University of Oregon. In the past five years Jason has presented at conferences during Brain Awareness week and during the Brain Awareness Expo in Eugene, OR. He has a manuscript published titled “Low testosterone” in The SAGE Encylopedia of Psychology and Gender. He was awarded the Department of Psychology Distinguished Teaching Award at the University of Oregon, the Henry V. Howe Scholarship at the University of Oregon for his research surrounding pre-exempted signs of autism and the Osher Reentry Scholarship for Nontraditional students from the University of Oregon. He is an active member of the National Association of Science Writers. Andrew comes to Wake Forest after fifteen years of being a business and financial analyst. He completed his Master of Fine Arts from the University of North Carolina at Wilmington with a concentration in Creative Writing. He earned a Master of Business Administration from Cleveland State University with a concentration in Finance with emphasis on investment analysis and portfolio management. Previously, Andrew spent nine years with a banking firm providing senior managers with financial and market analysis. He completed financial statement analysis training at Lloyds Bank and UBS. 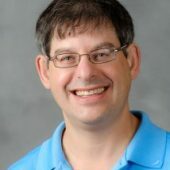 Throughout the last seventeen years, Andrew has found himself teaching corporate training of executives on software applications, introduction finance and management to undergraduates. Don returns to his undergraduate alma mater after serving as the Senior Policy Advisor in the US Department of the Interior. He holds a Master in Public Administration from American University and a JD from American University’s Washington College of Law. Don has served within the federal government for 31 years working for federal agencies, including the Air Force and the International Trade Administration. Don is an accomplished and results-driven executive with a track record of building coalition and leading people in community-based projects. He has received the U.S. Department of the Interior Honor Award for superior service, the U.S. Department of Justice Certificate of Commendation, the U.S. Department of the Interior Star award, and the Solicitor’s award for Exceptional Performance. Don is a member of the District of Columbia Bar and the Maryland State Bar, and a member of the Senior Executive Association. 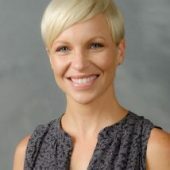 As the Digital Humanities Research Designer, Carrie Johnston collaborates with faculty across disciplines to incorporate computational and quantitative methodologies into their research. She holds a PhD in English literature from Southern Methodist University, an MA in English literature from Florida Atlantic University, and a BA in English and Communications from Tulane University. She comes to Wake Forest after a Council on Library and Information Resources Postdoctoral Fellowship in Digital Scholarship at Bucknell University and a Visiting Assistant Professorship in American literature at Quincy University in Illinois. Her teaching and research focus on women’s literature and its intersections with technology and political discourse in the early twentieth century. 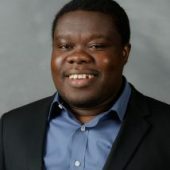 Kwame comes to Wake Forest from Pennsylvania State University where he completed his PhD in Statistics and dissertation titled Robust Parameter Design: A Penalized Likelihood Approach. His research interest includes Design and Analysis of Experiments, quality and productivity statistics, and high-dimensional data analysis. During his time at Pennsylvania State University Kwame taught courses within the Statistics department. 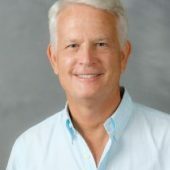 He was granted a travel award for the Design and Analysis of Experiments Conference at the University of Georgia and at the SAS World Headquarters. He is a member of the American Statistical Association and of the American Society for Quality. 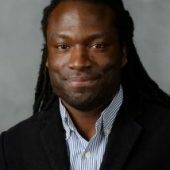 Kwame has a number of publications analyzing the penalized likelihood approach of linear models, robust parameter design, and un-replicated fractional factorials. Amber comes to Wake Forest from the University of Pittsburg where she completed her PhD in Philosophy, PhD in Cultural Studies Certificate, PhD in Women’s Studies Certificate, and MA in Communication. Her areas of primary focus include argumentation and debate, public address, the rhetorics of social movement, and gender studies. 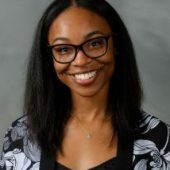 Amber received the Gallentine Award from Indiana University, the Communication Summer Research Fellowship, the A&S Diversity Summer Research Fellowship, and the Graduate Teaching Fellowship from the University of Pittsburg. Her research interest often leads to a conference presentation, workshop, or guest lectures. She has experience teaching graduate and undergraduate communication courses, often related to the art of public speaking in a multi-perspective audience. She is a member of the National Women’s Studies Association, the Cultural studies association, the Rhetoric Society of America and the National Communication Association. Danielle comes to Wake Forest from Wichita State University where she was an Assistant Professor of Composition Studies. She completed her PhD in English from the University of Pittsburg and her dissertation titled Invention through Textual Reuse: Toward Pedagogies of Critical-Creative Tinkering. Danielle specializes in composition history, theory, and pedagogy; authorship and invention’ professional, business, and technical writing. She has a number of publications and most recently presented her work “Proliferating Textual Possibilities: Toward Pedagogies of Critical-Creative Tinkering” in the Composition Forum. She received the Andrew W. Mellon Predoctoral Fellowship while completing her last year at the University of Pittsburg. Her current project theorizes and historicizes pedagogy of rewriting she calls “critical-creative tinkering”. She is a member of the Rhetoric Society of America, the National Council of Teachers of English, the Conference on College Composition and Communication, and the Modern Language Association. ia comes to Wake Forest from the Krannert School of Management, Purdue University where he was an Assistant Professor of Management. He completed his PhD in Marketing at Olin Business School, Washington University in St. Louis. Jia research interests involves retail management, sales management, and the interface between marketing, operations, and economics. His most recent publication was the lead article in the Marketing Science titled “Learning from Peers”. He has been invited to speak at business schools across the country including the University of Chicago, Booth School of Business; Fudan University, School of Management; and Hong Kong University of Science and Technology. 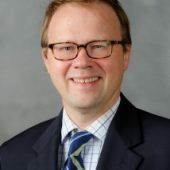 He was awarded the MBA/Master’s Program Distinguished Instructor, two years in a row, and the Undergraduate Program distinguished Instructor award four years in a row from the Krannert School of Management. John comes to Wake Forest from the Scripps Research Institute where he conducted research in Synthetic Organic and Medicinal Chemistry. He completed his PhD and MS in Organic Chemistry from the University of Wisconsin-Madison. 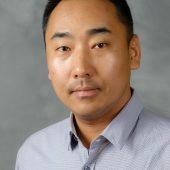 Having completed his dissertation titled Thiol-Disulfide Interchange: Design, Synthesis, and Evaluation of Reagents and Organocatalysts from Chemical Biology, his research explores synthetic derivatives potency against vinblastine sensitive and resistant cancer cell lines. John previously taught and assisted courses in biology, organic chemistry, analytic chemistry, general chemistry, and calculus. John was awarded the Sigma-Aldrich Graduate Student Innovation Award, the Harry and Helen Cohen Graduate Research award, and the GSFLC Department travel Grant award, HHMI teaching fellow, the Durward Layde Memorial fellowship and the Vanselow award in physical Chemistry. He is a member of the American Chemical Society and the American Association for the Advancement of Science. 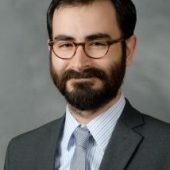 Dominic comes to Wake Forest from Brown University where he recently completed in PhD in Ancient History with a concentration in Classics and his dissertation titled Communities and Collective Action in the Roman Republican Army. His research and teaching interests includes Greek and Roman history, Latin and Greek prose literature, epigraphy and numismatics; protest and dissent in the ancient and modern worlds. During his time at Brown, Dominic has traveled across the United States presenting on classical antiquity, military mutiny and Roman cultures of dissent. Dominic is a participating member of “Visible words: Research and Training in Contextual Digital Epigraphy,” an international project dedicated to the use of technologies for the study of epigraphy. 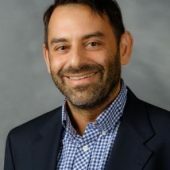 He has received a number of honors including the Michaelides Dissertation Fellowship for Greek Studies, the Chercheur Invite at the Universite Lyon Lumiere 2, and a member of Phi Beta Kappa at Dartmouth College. Coco comes to Wake Forest from Columba college where she served as the program coordinator of French and for the study of Gender & Women. Coco completed her PhD in French Literature with a concentration in Contemporary and 18th century with a minor in Women’s Studies from Pennsylvania State University; her dissertation is titled Memory and/in the Fiction of Helene Cixous. She completed her DEA, from the Universite Paris VIII and an MA in French Language and Literature from the University of Virginia. She has taught courses and presented papers at universities along the east-coast. She is the recipient of the Faculty Excellence award, the Tournees Film Festival, and a co-recipient of the PCA/CITE grant for an outreach program. She is a member of the American Association of Teachers of French and its South Carolina Chapter, the Women in French, the American Association of University Women, the American Association of University Professors, and the Alliance Francaise of Columbia. 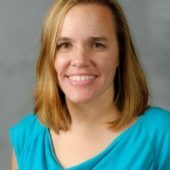 Sarah comes to Wake Forest from Virginia Tech Carillion Research Institute where she served as an Assistant Professor within the Department of Biomedical Sciences and Pathobiology; and the Department of Medicine-Infectious Disease. She completed her PhD in Microbiology and Immunology from Vanderbilt University, and performed post-doctoral training at the National Institutes of Health in the Laboratory of Infectious Diseases. She received the Zoetis Award for Veterinary Research Excellence for her outstanding achievement and dedication in the field of veterinary medicine and the NIAID Merit Award for unravelling the molecular structure-function relationships and taxonomy of rotaviruses, important pediatric pathogens worldwide. Of her thirty-one published articles, Sarah’s work has been cited in over 1400 papers. She is an editorial board member of the Journal of Virology, a member of the American Society for Microbiology, Rotavirus Classification Working group, and the American Society Virology. Lauren comes to Wake from the University of Central Arkansas where she was an Assistant Professor of Spanish and Foreign Language Education; and the coordinator for the Secondary Foreign Language Education Program. 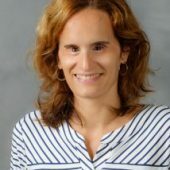 She completed her PhD and MA in Spanish Linguistics and her dissertations titled The Acquisition of Bare Nominals by Three Populations of Spanish-English Bilingual Adults and On the Production of Preterite vs. Imperfect Distinctions in Child Heritage Spanish in Contact with English from Purdue University. 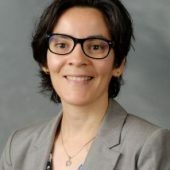 Her teaching and research interests include Spanish as a second language and as a heritage language, second language acquisition/pedagogy, Spanish linguistics and Spanish in the United States. 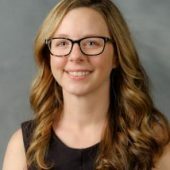 Lauren has received a number of research grants including, the Graduate Student Research grant, the Graduate Student Travel grant, and the Frederick N. Andrews Fellowship from Purdue University. 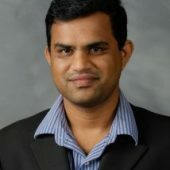 Sai comes to Wake Forest after completing his PhD in Computer & Information Systems Engineering and dissertation titled Network Traffic Anomaly Detection for IAAS Clouds from Tennessee State University. 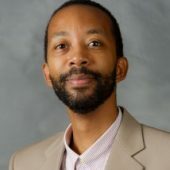 He received his ME in Electrical Engineering from Old Dominion University where he began exploring smart phone security, cloud security, mobile cloud, high performance computing, development of intelligent systems through mining data and developmental models. Sai has taught courses in computer programming, digital logic design, computer networking, and network security. He has a number of publications including, “Generation of Labelled Datasets to Quantify the Impact of Security Threats to cloud Data Centers in the Journal of Information Security and “Generation of Realistic Datasets to Evaluate Impact of Attacks on Cloud Data Center” in the Second International Conference on Next Generation Computing & Communication Technologies. Kevin comes to Wake Forest from the University of Michigan where he completed his PhD in Pre-modern Japanese Literature, Department of Asian Languages and Cultures, and dissertation titled Twilight Reflections of Kyokutei Bakin: An annotated translation of Chosakudo kyusaku jihyo tekiyo. He received his MA in Humanities from the University of Chicago where his research focused on the translation of 18th century Japanese comic books using Adobe Creative Suite. Kevin physically immersed himself in his research when he spent a year at the Inter-University Center for Japanese Studies in Yokohama, Japan. At the University of Michigan, Kevin taught one of the first courses probing the academic potential of video games as a new media. He received a number of awards including, the Rackha One-Term Write Up Grant, the Rackham International Research Award, and the Fulbright IIE. Tameka returns to her alma mater after completing her PhD in Counselor Education and Supervision from the University of Georgia. She earned her MA in Counseling with a concentration in School Counseling from Wake Forest. She has served as a counselor at the University of Georgia and at the Ronald W. Reagan High School in Winston Salem, NC. 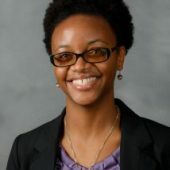 Tameka is a licensed North Carolina Professional Educator School Counselor (K-12) and a National Certified Counselor. Tameka was awarded the Minority Fellowship from the National Board of Certified Counselors (NBCC). She is a member of the American Counseling Association, the Association for Counselor Education and Supervision, and the Counselors for Social Justice. Tameka actively engages in community partnerships throughout Winston Salem and looks forward to continuing that work upon her return to campus. Olga joins Wake Forest as the Founding Chair and Professor of the new Engineering Department. 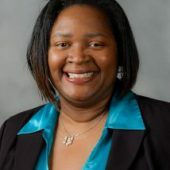 Prior to joining Wake Forest, she served as a Program Director in the Division of Undergraduate Education in the Directorate of Education and Human Resources at the National Science Foundation. During the two years at NSF, she managed a $100 million dollar portfolio of STEM education projects, and served as the lead engineering Program Director in DUE during her second year. Olga served as founding faculty member of the Department of Engineering at James Madison University in Harrisonburg, Virginia. Olga conducts research in biomedical engineering, sustainable energy systems, cognitive engineering, diversity and inclusion, and engineering education. She has mentored over 120 undergraduate and graduate students with research and design projects, and has over 100 publications many of which have students as co-authors. 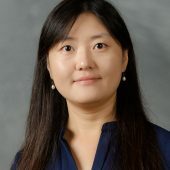 She has the first PhD from the joint Biomedical Engineering program between Virginia Tech and Wake Forest University and a MS in Engineering Mechanics from Virginia Tech. 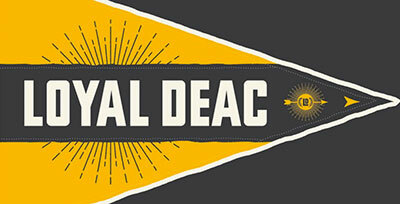 Greg returns to Wake Forest as a triple deacon after maintaining a private practice for nine years. He earned his JD and MBA from Wake Forest. Greg has been involved in many startup and organizations since he first left the Forest. He co-founded Elephant Structures, an online metal building sales platform that has a consumer base across the country. Greg has been general counsel to private investment groups as well as counsel to individual investors ad entrepreneurs. His practice areas of focus are Business Law, Internet Law & Domain Name Disputes, Intellectual Property, and Business & Venture Formation. 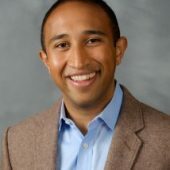 He is a member of the MENSA and Triple Nine Society, the National Eagle Scout Association, and an Entrepreneur in Resident at Wake Forest Center for Innovation, Creativity and Entrepreneurship. Melde earned a Masters of Library and Information Studies from the University of North Carolina at Greensboro. He previously worked at the Z. Smith Reynolds Library as the Specialist for Digitization and Data where he oversaw the digital production of ZSR Library’s rare and unique collections. Melde coordinated the expansion of the library’s permanent digital collection and performed quality analysis of digital objects. He has experience converting Dublin Core metadata to DSpace digital repository by utilizing Microsoft Visual Basic scripting and DSpace command lines. Melde has notable experience in digitization, digital collections, metadata, library instruction, reference, writing and customer service. He has over eight years of experience in journalism. He is a member of the North Carolina Library Association (NCLA) and has been granted the National Newspaper Publishers Association award. Melva is a practical theologian and ordained minister. 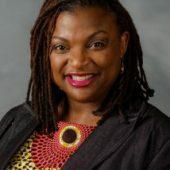 She comes to Wake Forest from Emory University where she completed her PhD in Homiletics and dissertation titled Fetching Spiritual Power: Black Women’s Preaching Bodies and African-Centered Womanist Oratory. Melva earned her Master of Divinity with a concentration in Black Church Studies from Emory University and a Master of Arts with a concentration in Mass Communication from Howard University. Her research interests include Black preaching women’s embodiment, African heritage spiritual traditions, Black girls’ ritual performance, and the relationship between digital proclamation and spiritual formation. She has been awarded a number of awards including, the Religious Practices Dissertation Completion fellowship, the Religious Practice Concentrator, and the W.E.B. DuBois “Nommo” award for academic excellence. She is a certified Ordained Elder and certified Black Church Studies. She is a member of the American Academy of Religion, the Black Religious Scholars Group and Delta Sigma Theta Sorority Incorporated. Whitney comes to Wake Forest from Bank of America Corporation where she was the SVP/Senior Tax Manager of the Bank Legal Entity Tax Team. She earned her Master’s of Taxation from the University of South Carolina-Columbia. 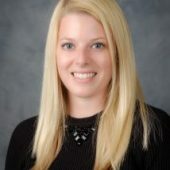 Whitney has over seventeen years in financial services, working as a tax consultant and a public accountant at both the national and regional level. Her research interest includes Federal Taxation, corporate partnerships, and federal tax policies. She is a certified public accountant and a recipient of the Putnam Fellowship. 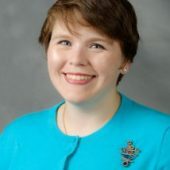 She is a member of the NCACPA, the AICPA, the Top of the Week Rotary Club, the Dilworth South End Rotary Club and the YWCA of Central Carolinas. 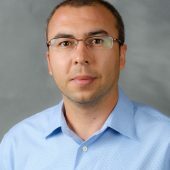 Senad comes to Wake Forest from Clemson University where he completed his PhD and MA in Economics and dissertation titled Essays on Unemployment Duration in Germany. His primary fields of interest include labor economics, applied econometrics, and applied microeconomics. He has taught courses on labor economics, the principles of macroeconomics, and the probability and statistics for econometrics. Senad has experience performing credit analytics and determining the best practices in modeling within the vintage forecast model. Senad has been rewarded with the Professional Enrichment Grant, the Shelby Davis Scholarship, and the Department of Economics and Management Leadership Prize. Katherine enters her first semester, after completing her Master of Arts in Pure Mathematics at Wake Forest University, teaching Calculus with Analytic Geometry 1 and Multivariable Calculus. 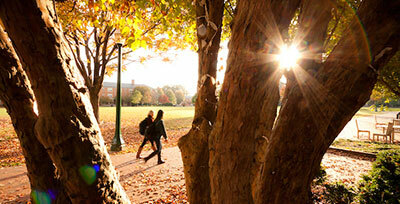 Previously, Katherine worked as a graduate teaching assistant at the University of Delaware. Her research interests include advanced calculus and nonlinear dynamic, proofs, discrete mathematics, and computer science for engineers. 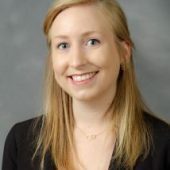 Katherine was awarded the Wake Forest Graduate teaching assistantship, the Miami University of Ohio Sumer Undergraduate Mathematical science research institute grant, and the University of Delaware Secondary Education Award for Educational Promise. Katherine looks forward to continuing her research and teaching position at Wake this fall. Jeff comes to Wake Forest from the University of Southern California where he obtained his PhD in English Literature and where he served as a lecturer in the Gender Studies and English departments. His research and teaching interest include Gender and Sexuality Studies, American Literature 1865-present, and Creative Writing. He has been awarded the Andrew J. Kappel Prize for Best Article of the Year in the Twentieth Century Literature, the James Prize for best essay by a graduate student, and the Christopher Isherwood Foundation Fellow. Jeff has a number of publications, including a new book titled “So Famous and So Gay: the Fabulous Potency of Truman Capote and Gertrude Stein,” which explores the production and reception of the two writers’ rise to success. He is a member of the Committee on LGBT History within the American Historical Association, the Modern Languages Association, the Modernist Studies Association, and the Pacific Ancient and Modern Languages Association. 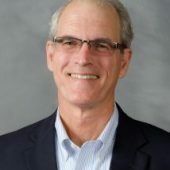 Koleman comes to Wake Forest from the University of Kansas School of Business where he was a professor of Business Economics. He completed his PhD in Economics from M.I.T. and dissertation titled Essays in Political Economy. 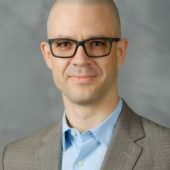 Koleman’s most recent work focuses on file sharing, prediction markets, and industrial organization such as; “Introduction to Special Issue on Corporate Applications of Prediction Markets,” In the Journal of Prediction Markets and “The Effect of File Sharing on Record Sales: An Empirical Analysis,” In the Journal of Political Economy. His work has been featured in major news outlets such as The New York Times, The Wall Street Journal, The Economist, Financial Times, Science, The Atlantic Monthly, Boston Globe, Business Week, and the Chicago Tribune. Porter comes to Wake from the Episcopal Diocese of Western North Carolina where he served as the Bishop and Vice Chair of the Lifelong Christian Formation and Education Commission. He completed his PhD in Literature and Theology from Emory University and dissertation titled Mysticism in the Poetry of Theodore Roethke. He earned a Master of Divinity from the University of the South and MA in English from the University of South Carolina. Porter personal and research interests includes the Art of Repentance, Jesus through the centuries, the cruciform church, and the use of fiction and poetry in sermons. He served seven years as rector of St. Gregory the Great Episcopal Church in Athens, Georgia. Porter has a number of publications including, “Hunger for God,” “Repairing the Breach” and “General Convention,” each exploring the personal relationships with God. Meghan first joined Wake Forest in 2013 as a coordinator within the Z. Smith Reynolds library. Now an instruction and outreach librarian, Meghan will teach several information literary courses, plan and coordinate library outreach efforts, and serve as a faculty advisor for the ZSR library Ambassadors. She competed her Master of Library Science from the University of North Carolina at Chapel Hill. Meghan has conducted extensive research regarding the infrastructure and purpose of components within universities libraries. Since joining Wake Forest she has received awards for her exemplary service to Wake Forest and its surrounding communities. 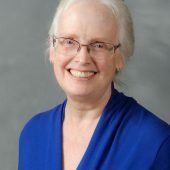 She is a member of the Association of College and Research Libraries, Library and Information Technology Association, the North Carolina Library Instructional Technology Group, the North Carolina Library Association, and the American Library Association. 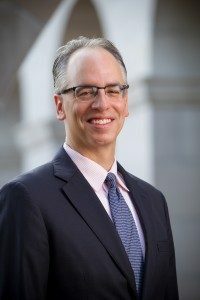 Gordon returns to Wake Forest from the Rudolf Widenhouse law practice where he represented clients in federal and state trial and appellate courts, emphasizing capital appeals and post-conviction litigation. Gordon earned his JD from Wake Forest School of Law and a Master of Arts from UNC-Greensboro. His areas of practice encompass appeals, Habeas Corpus, Motions for Appropriate Relief, Post Conviction, and Section 2255 Litigation. Previously, Gordon periodically taught Capital punishment, Evidence, and Appellate advocacy at universities along the east coast. He has received the Charles L. Becton Teaching Award, the Ebbie Award for Excellence (NCAJ), the John B. McMillian Distinguished Service Award (N.C. State Bar), the North Carolina Super Lawyers: Criminal Defense, Appeals; and the North Carolina Legal Elite: Appeals, Criminal Defense. Gordan is authored to a number of law publications including “The Unfairness of Non-Retroactivity of New Procedural Rules,” and “An Historical Perspective on the Eighth Amendment”.